"The Black Panther lives!" Disney has unveiled a new 90-second TV trailer for Marvel's Black Panther, to promote tickets being on sale (buy them here) and build some buzz with a month left until this hits theaters. This looks so badass, it's one of my most anticipated of the entire year. 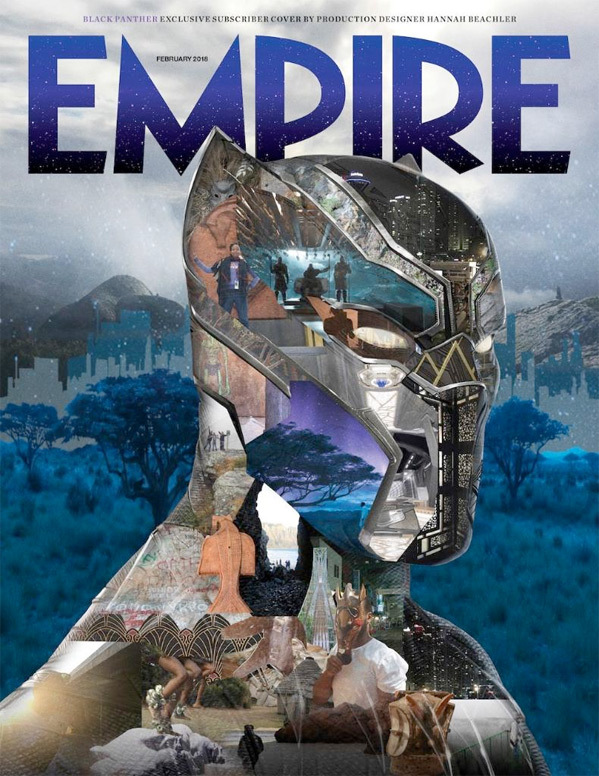 Directed by Ryan Coogler (of Fruitvale Station, Creed), the story follows King T'Challa, once again played by Chadwick Boseman, who must defend his African nation of Wakanda from threats inside and out. The superb cast includes Michael B. Jordan, Lupita Nyong'o, Danai Gurira, Martin Freeman, Daniel Kaluuya, Angela Bassett, Forest Whitaker, Andy Serkis as Klaw, Florence Kasumba, John Kani, and Sterling K. Brown. Love all the footage, I'm so ready to watch this and see how it all plays out. Let loose the Panther, Marvel! You can still watch the teaser trailer for Coogler's Black Panther here, or the full-length theatrical trailer. After the events of Captain America: Civil War, T'Challa returns home to the reclusive, technologically advanced African nation of Wakanda to serve as his country's new leader. However, T'Challa soon finds that he is challenged for the throne from factions within his own country. When two foes conspire to destroy Wakanda, the hero known as Black Panther must team up with C.I.A. agent Everett K. Ross and members of the Dora Milaje, Wakanadan special forces, to prevent Wakanda from being dragged into a world war. Black Panther is directed by acclaimed American filmmaker Ryan Coogler, of Fruitvale Station and Creed previously. The screenplay is by Joe Robert Cole and Ryan Coogler. Disney will release Marvel's Black Panther in theaters everywhere on February 16th next month. Who's going opening night?